When you embark on new home construction, you probably have a mix of feelings. 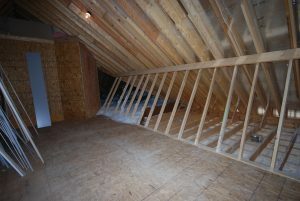 Often, homeowners are nervous the construction won’t live up to their standards. You rely on the builder for most of the new construction but where it’s time for you to step in and do your homework is often during the pre-delivery inspection period. Learn about all of the main operating systems. This way you can make sure that the heating, ventilation and plumbing are all in good order and missing nothing. Never be afraid to ask questions of the builder or inspector. These professionals are there to answer your questions. Keep a list of upgrades with you. It’s easy to forget everything that you wanted done throughout the new home construction. This will allow you to check off what’s been finished as you move through the home. Often, your builder will have an inspector also. If you feel more comfortable having a second voice, then you should consider hiring one to represent your interests as well. Two inspectors will be more likely to catch any problems. On inspection day, make sure that you don’t invite along too many people. If you have kids, consider leaving them at home or with a sitter. You already did your homework, now it’s important that you give the new home construction your utmost attention. Before you show up to the inspection, make sure that you are dressed appropriately. Keep in mind that you are visiting a construction site. It’s important to wear comfortable clothes and flat shoes. You may have to climb stairs, inspect attics and basements. If you worry about the construction and its completion, to have a checklist will make it easier for you to guarantee that the project is up to standard. Do your homework so that you can discuss the details with the builder and inspector about new home construction.